Amazon Channels has emerged as a critical way SVOD services acquire new subscribers. Finally, it looks like credible competition for the role of SVOD aggregator is coming from Apple and Hulu. Some, behind closed doors, say Amazon is contributing as many as half of the subscribers to their service. Amazon Channels hasn’t faced any credible competition in the SVOD aggregation space, until now. Earlier this year, Bloomberg reported that Apple plans to extend the capabilities of its TV app. Currently, the app aggregates content from many direct-to-consumer (D2C) services. Users can search the services for content through the TV app. However, if a user needs to subscribe to a service to watch, they must do that directly with the service concerned. The new version of the TV app will allow users to subscribe to the services directly, without having to go to another app or service. Earlier this month, CNBC reported that Apple users would be able to watch for free the original content the company is developing. Users will be able to watch the shows through the TV app that comes preinstalled on their device. This week, The Information says the new TV app will be available in more than 100 countries when it is released next. Amazon Channels is currently only available in four countries: U.S., U.K., Germany, and Japan. Apple could be a very strong player as an SVOD aggregator as it has tremendous reach. As of last year, there were over 700 million iPhone users worldwide. Apple TV is also widely available. However, it will need to adopt some of Amazon’s SVOD service marketing tactics if it is to be a success with service providers. Hulu is already going down the road as SVOD aggregator. Hulu customers can also subscribe to HBO and Cinemax, and Showtime. This week, the company announced Hulu customers could also add Starz for $8.99 per month to any existing Hulu subscription plan. Hulu could also be very successful as an SVOD aggregator. 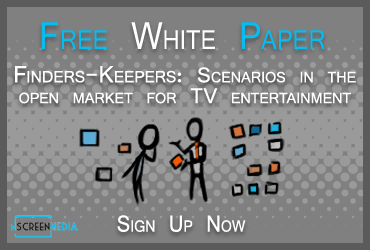 It has 20+ million subscribers to which it can market SVOD partner services. Unlike Apple, all of Hulu’s customers come to the service to watch television. Moreover, they have plenty of reasons to use the service. According to Mr. Freer, Hulu has re-bundled more than $45 billion worth of content in the last year. Far more than the $1B Apple is spending on content. What’s more, each time a Hulu subscriber searches for a show or movie is an opportunity to market SVOD partner services. Amazon Channels has not faced any credible competition in the SVOD aggregation market. Apple and Hulu’s entry into the space changes the equation for SVOD providers and consumers. With great reach and original content to attract in viewers, both Hulu and Apple have an opportunity to successfully market other SVOD services to their customers.